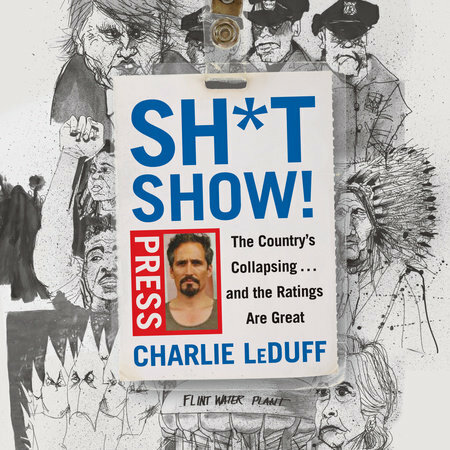 The Detroit Cast spoke with Charlie LeDuff about his book “Sh*t Show! : The Country’s Collapsing … and the Ratings Are Great,” documenting Charlie’s travels throughout the U.S., meeting real Americans and getting their real stories. In late 2013, Charlie set out to record a TV series called, “The Americans,” and, along the way, bore witness to the ever-quickening unraveling of The American Dream. Charlie traveled the country for 3 years, ending up on the Mexican border crossing the Rio Grande alongside undocumented immigrants; in the middle of Ferguson as the city burned; and watching the children of Flint get sick from undrinkable water. Racial, political, social, and economic tensions were escalating by the day. The effects of technological change and globalization were being felt more acutely, at the same time that wages stagnated and the price of housing, education, and healthcare skyrocketed. Americans felt defeated and abandoned by their politicians, and those politicians seemed incapable of rising to the occasion. The old way of life was slipping away, replaced by social media, part-time work, and opioid addiction. “Sh*t Show!” is a true and distinctively American story, told from the parts of the country hurting the most. Charlie, in his irreverent soul-baring way, speaks the language of everyday Americans. He scrambles the tired-old political, social, and racial categories, taking no sides. This book is both a necessary confrontation with the darkest parts of the American psyche and a desperately needed reminder of the country’s best instincts.